Why do people think that timber windows don’t last? Just look at these beautiful old windows. They have stood up to all kinds of weather for more than a century. With premium old growth forest timber, quality construction, a design that is completely repairable and serviceable, and an appearance that perfectly suits the beautiful heritage building, it’s hard to imagine why anyone would consider chucking them in the bin. Especially when you know they can be draught sealed and re-glazed to make them perform better than they did when they were new. And it’s even harder to imagine how any building owner who cared about the capital value of this asset could approve replacing one set of windows with something like this! 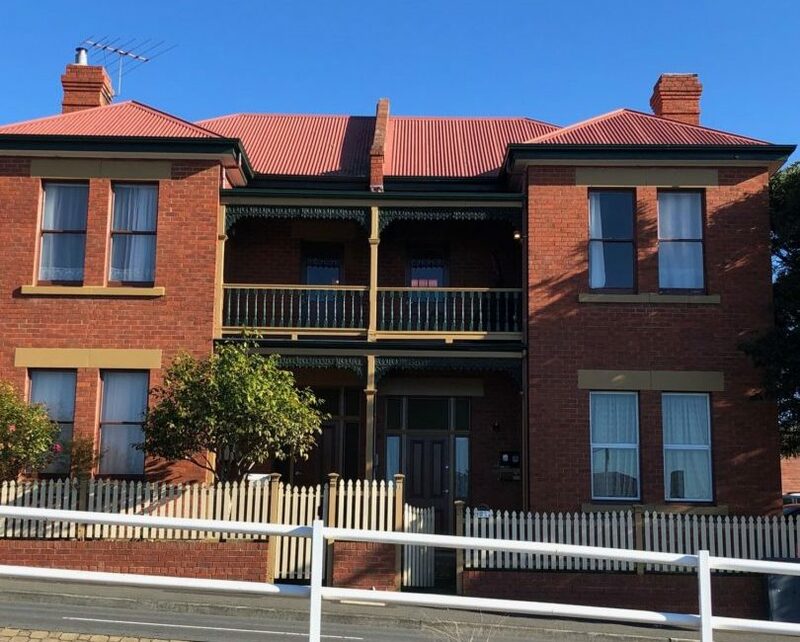 We’ve been going past this property in North Hobart for years, thinking ‘we could fix that’. The beautiful old windows, which had served generations of occupants, and were easily repairable, were sent to the tip. Honestly, how good are these aluminium windows going to look in 100+ years? How easy will they be to service, and to upgrade? 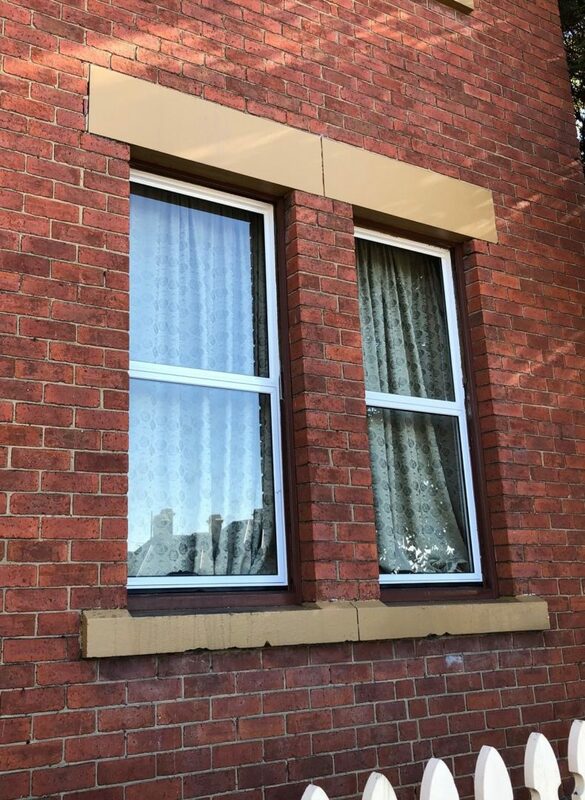 If we put money on it, we would bet that these aluminium windows will be ripped out within 20 years by a self-respecting home owner, who will buy expensive reproduction windows (with inferior timber and mechanisms) to match the originals. What a shame that these owners missed a golden opportunity to enhance their asset and make it good for the century to come. Don’t chuck them in the bin! One of our specialists can help you understand your options for repairing, draught sealing and reglazing your old wooden windows.